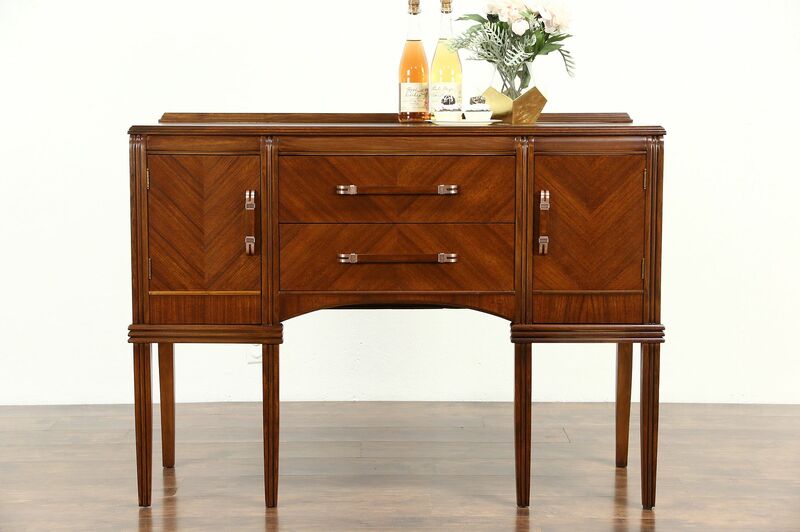 An Art Deco waterfall design sideboard, server or buffet from about 1940 is walnut, maple and diamond matched mahogany. The restored finish is in excellent condition on this American made vintage furniture. Hardware is original. Measurements are 51" wide, 19" deep and 37" tall.